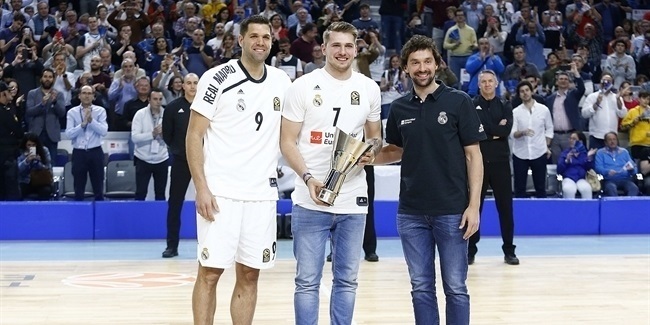 When Turkish Airlines EuroLeague giants Real Madrid and Fenerbahce Beko Istanbul meet, there is a feeling that something special can happen. 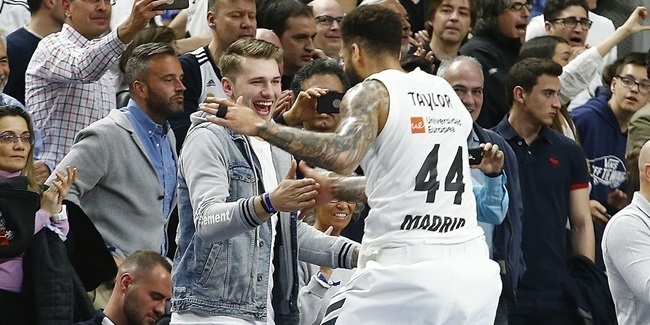 Thursday's clash between the teams lived up to the hype with great plays from two competitive squads and an outstanding game that Madrid won with great authority. Madrid played close-to-perfect on offense. 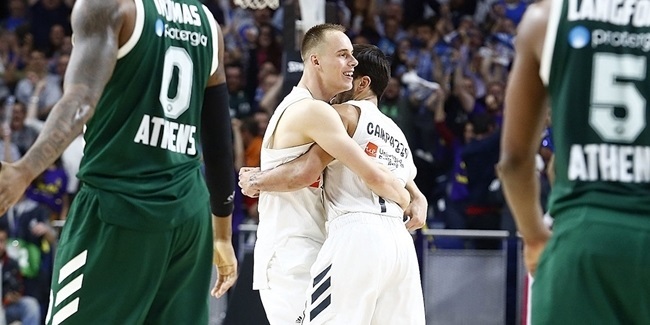 Los Blancos made 30 of 43 two-pointers; its 69.8% marked a new season-high for Coach Laso's men. Moreover, Madrid dished a season-high 29 assists. That wasn't only Madrid's season-high, but it tied the most of any team in the league all season. Plus, that came with just 4 turnovers; that's 7.25 assists per turnover, which was also the best in the EuroLeague this season. CSKA had the previous high with 5.75 assists per turnover (23 to 4) against Olympiacos last week. What truly stood out, however, was that Madrid won 101-86. No other team in European basketball history had scored 100 points or more in a non-overtime win against a squad coached by Zeljko Obradovic. Ever. Not from the day Obradovic picked up a whistle, became a coach and led Partizan Belgrade to the EuroLeague title in the 1991-92 season. It is unprecedented. Granted, some teams scored 100 points against an Obradovic-coached team, but it was either in overtime, in a loss, or both. Darussafaka Istanbul fell 100-106 to Fenerbahce on January 22, 2016. CSKA had a 96-101 overtime win against Fenerbahce in the third-place game at the 2016 EuroLeague Final Four. Skipper Bologna went to double overtime against Panathinaikos on January 14, 2004, but the Greens prevailed 114-118. Benetton beat Panathinaikos 111-101 in overtime later on that season, on March 25, 2004. And Montepaschi Siena lost 111-103 at home against Obradovic's Panathinaikos on April 16, 2003. And no team ever scored triple digits against Obradovic from 1992 to 2001. To get 101 points against Fenerbahce, Madrid had to be at its best and it certainly looked that way as Los Blancos turned defense into offense at full speed. The final 4 minutes of the third quarter summed it up. Walter Tavares blocked a pair of dunk attempts, Sergio Llull struck twice from downtown - one of them, a stop-and-pop three, came with an additional free throw after being fouled – and the two players combined forces on a pair of high-flying alley-oop dunks. Madrid is having fun and setting records. That is good news for Madrid fans around the world on a rough week for its football team. And bad news for pretty much every other big team in the EuroLeague.